Growing popularity of the Internet in the last 20 years has changed the face of mainstream travel. Holidaymakers want to gain an insight into the lives of people in other countries, so authentic local experiences are now just as popular as package holidays and well known tourist attractions. 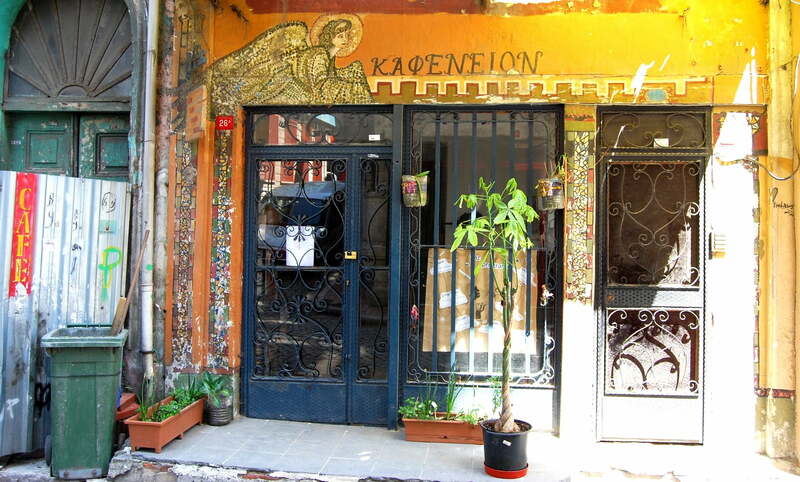 In the bustling metropolis of Istanbul, this is proven in the growing interest of guided walking tours through neighbourhoods of which Fener and Balat are emerging as ideal choices. This is a key point to notice because historically, the Ottomans welcomed different nationalities after the invasion of Constantinople since the population had dwindled down to an extreme all-time low. Hence, the Fener and Balat districts became home to large Jewish, Armenian, and Greek communities. Naturally if you want to find out more about local communities, the best people to speak to are the locals so for this article, I’ve hooked up with Sinan Sokmen, who runs Istanbul Tour Studio, and he says the combination of old and new in Istanbul is a great lure. Citing his Fener and Balat tours as one of his best-selling excursions, he explains that as well as being historically rich, each district has their own character and culture, which gives visitors one of the best insights into the Istanbul of today away from touristic venues. Nevertheless, he emphasises that at one point, both neighbourhoods faced an uncertain future due to neglect and derelict, crumbling houses, so locals were leaving for other more desirable places. In 2003 when UNESCO pumped money into renovating and repairing the old Ottoman houses, the future of Fener and Balat turned around and they are now key neighbourhoods of Istanbul. Sitting off the Golden Horn waterway in the Fatih district, Fener’s name stems from the Greek word Fanari meaning lantern, although in Turkish, it means lighthouse. As a prominent Greek neighbourhood housing wealthy citizens for about 300 hundred years from the 17th to 20th centuries, Fener enjoyed many lucrative times. Unfortunately, disputes between the Greeks and Turks erupted before the Turkish War of Independence and the Treaty of Lausanne, after it, forced deportation of most of its Greek citizens. The interesting cultural and historical timeline could be a storybook in itself, but the most notable fact about Fener is that it is the seat of the Ecumenical Patriarchate of Constantinople, the spiritual centre for the Greek Orthodox religion and known locally as Fener Rum Patrikhanesi. The Ecumenical Orthodox Patriarchy Church also referred to as the Church of Saint George that opened in the 1600s still runs services. Holding holy relics such as the 5th-century Patriarchate throne and relics of Saints Gregory the Theologian and John Chrysostom, anyone could be naïve to think that they could just walk straight in. However, even though attacks by people intolerant of different religions are rare, safety precautions means that access is strictly screened. The church also sits near to Phanar Greek Orthodox College, a fully functioning school that implements the Turkish curriculum and additional subjects such as the Greek language. 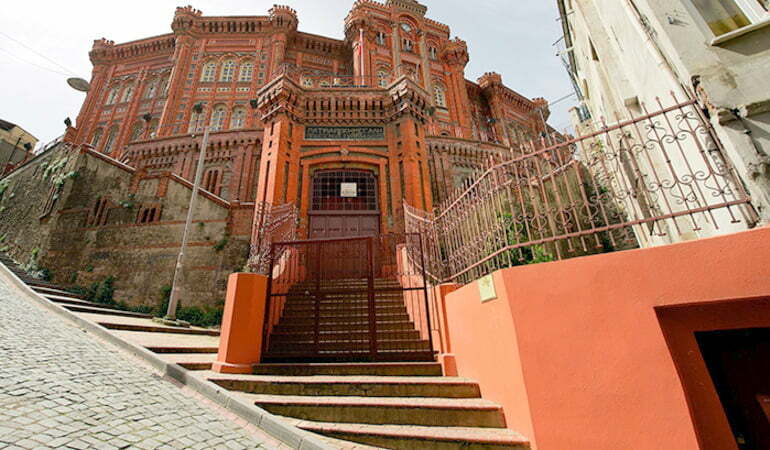 As locals in Turkey often do, they have given it their own names of the red building or castle, resembling its unique architectural style. Leaving behind Fener, the next quarter is the former Jewish neighbourhood of Balat. The stark contrast of identities displays the multi-cultural history of Istanbul, caused by its status as ruling capital for both the Byzantine and Ottoman empires and past reputation as one of the most populated cities in the world. Balat is one of the best places in Istanbul for a local experience since women still gather on doorsteps, while men sit in the tea houses, kids kick balls around in the streets and lines of washing can be seen overhead. Odd shops and colourful houses have become iconic pictures on the Internet, and while taking my tour groups around, I often pop into the local barber’s shops so they can see or have a traditional Turkish shave. 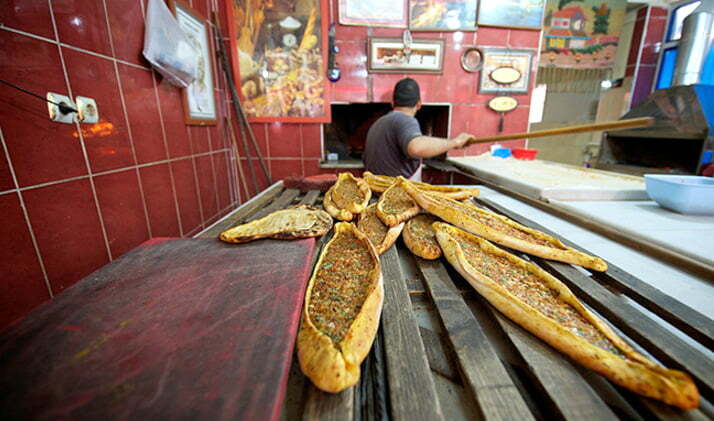 Regarding eating and drinking, I prefer Balat because it has many Bohemian cafes selling traditional Turkish food. The garden of Asitane, a famous restaurant specialising in Turkish cuisine dating from the Ottoman kitchens is where I take my customers. Alternatively, other great local places to eat include Köfteci Arnavut who sell delicious meatball meals. For refreshments and to chill out, I like the Coffee Department and Forno, who source all their ingredients locally have become well known for their Turkish breakfasts, lahmacun and Pide. 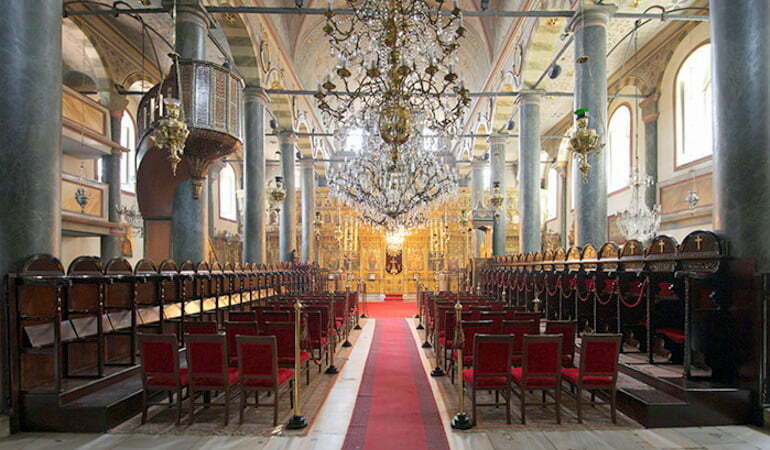 The vast number of churches, mosques and synagogues, including St. John the Baptist proves Balat’s ability to accommodate nationalities of all faiths but nearby is the famous Chora Museum, previously the Byzantine Greek Orthodox Church of the Holy Saviour. Having been converted into a mosque in the 16th century, it gained museum status in 1948, but a daunting task lay ahead as experts attempted to uncover the original frescoes. They succeeded and these days visitors witness some of the best surviving Byzantine frescoes depicting scenes from the Bible. A great way to finish off exploring the Fener and Balat districts is to walk along the old city walls in the Ayvansary district, that protected the city for hundreds of years until the Ottomans managed to pentrate them in 1453. This article is co-authored by Sinan Sokmen, a local of Istanbul, who owns and manages Istanbul Tour Studio. Read about his local tips on his blog and website that features everything you need to know about the city and much more. Such beautiful neighborhoods. How is everything for you with the coup right now?